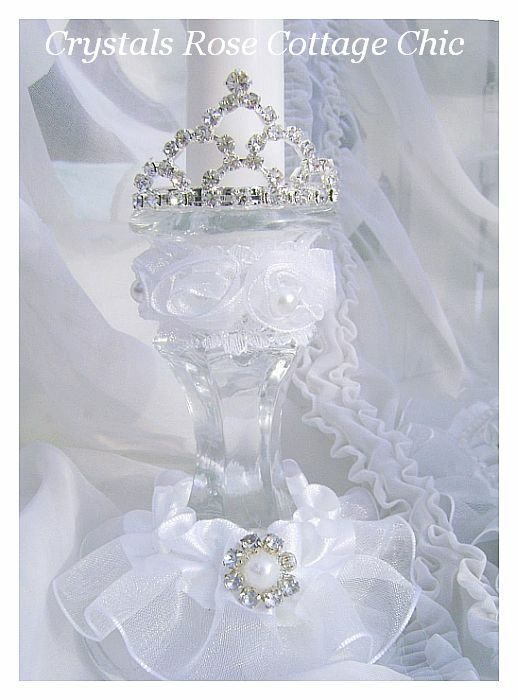 This lovely, unity candle set is just perfect for the bride who loves crowns/tiaras made of sparkling rhinestones! 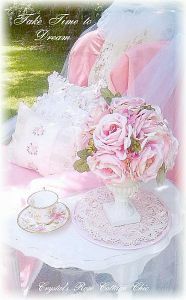 Set includes: Two, white taper candles with two, glass candleholders that have beautifully embellished with white, organza ruffled trim and a littel pearl and rhinestone flower. 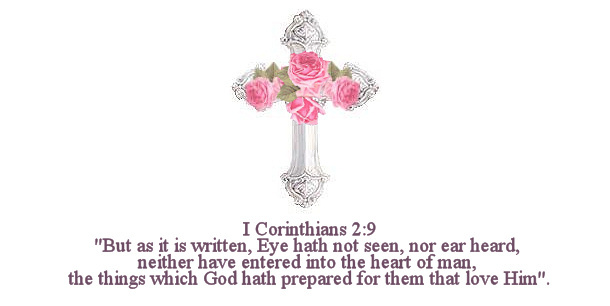 Wrapped around the top, for a soft, romantic look is a white, rosette and pearl bridal trim. For the finishing touch, I've crowned them with sparkling rhinestone tiaras! 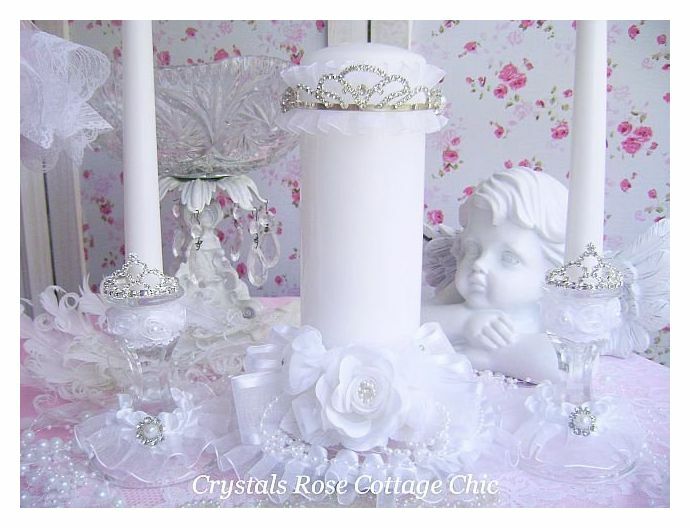 The center candle has been embellished with white, organza, ruffled trim, white organza and satin bows, pearls, organza rosettes with rhinestones and a lovely, white, satin rose. 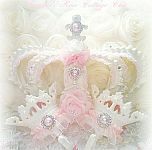 I've topped it with a dazzling rhinestone tiara with pearl and rhinestone flowers on the sides. 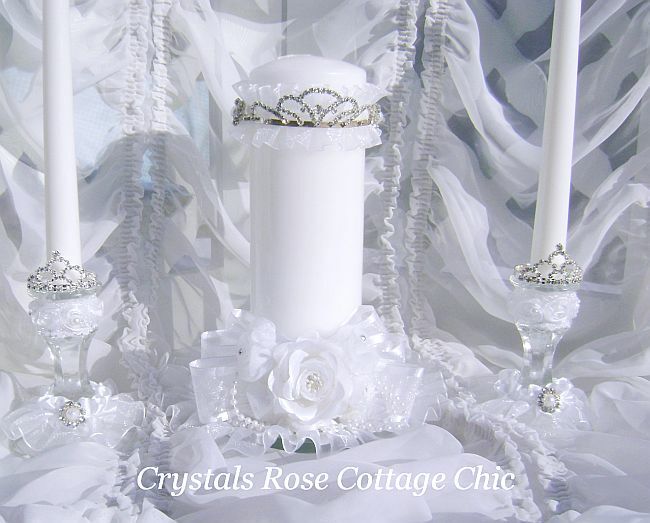 This spectacular, Unity Candle Set also includes a glass candleplate for the center candle that has been embellished with white, ruffled organza trim with pearls.